A huge M&A deal hit the newswire this morning, as ARCADIS, the Dutch engineering and consulting firm, said it is taking over Malcolm Pirnie, the privately held White Plains, New York-based water and environmental consulting firm, with everyone from The Wall Street Journal (subscription required) to The New York Times to the Reuters news service picking up on it. According to the ARCADIS press release, it has signed "a merger agreement to acquire 100 percent of the shares of Malcolm Pirnie...currently owned by about 80 internal shareholders. At closing, Malcolm Pirnie will be a wholly owned subsidiary of ARCADIS U.S." The release states that Malcolm Pirnie has more than 1,700 employees, 2008 gross revenues of $392 million, net revenues of $294 million, and profitability close to ARCADIS' overall target EBITA margin of 10 percent. ARCADIS has more than 13,500 employees prior to the deal. According to an ARCADIS spokesman, the company does not see redundancies among the workforce of the two firms. ARCADIS spent $222 million to acquire Malcolm Pirnie, including $135 million in cash and $86.8 million worth of shares to shareholders and some employees of Malcolm Pirnie, according to The New York Times article. The cash offer is financed by Rabobank, ING and RBS, according to the release. SNS Securities analysts commenting on the deal wrote, "We expect that ARCADIS...will be able to bring Pirnie's margins in line with company margins through synergies, thereby creating value." The deal is contingent on Malcolm Pirnie shareholder approval but it is anticipated that it will be completed in July 2009. "The major shareholders comprising ownership of 48 percent of the outstanding shares have provided irrevocable support of the merger," according to the release. To get an idea of the scope of this deal, consider that Malcolm Pirnie's roots trace back to 1895, the firm has more than 60 offices and is represented in most of the top 20 major metropolitan areas of the United States. The firm's client base is heavy in the public sector, including municipalities and the federal government, balancing nicely with ARCADIS' existing private-sector client base in the United States. "Together, we are well-positioned to benefit in the short-term from the government stimulus package," says ARCADIS CEO Harrie Noy. The firm also works in Asia, the Middle East, Puerto Rico, and Chile. ARCADIS says the integration process should take about 18 to 24 months, again demonstrating the size and complexity of the deal. The acquisition also puts ARCADIS in the top 10 of consulting engineers in the international water market as well as in the top 10 in the U.S. design, consultancy, and engineering market. "Although the impact of the economic downturn in the short term is still uncertain, the long-term outlook for our business is positive," Noy says. According to the Reuters article, Noy says ARCADIS is not adjusting its target for a 10 percent operating (EBITA) margin in 2009, but also did not say whether the company would meet it. To learn more about PSMJ's merger and acquisition services, click here or contact Susan LeComte at slecomte@psmj.com or by phone at 614-764-1400, ext. 105. An article posted yesterday to The Architect's Newspaper web site posited the notion that the AIA Architecture Billings Index results that show a recent uptick in inquiries might actually be signaling not renewed interest in work, but more competition for what little is available. Indeed, AIA Chief Economist Kermit Baker points out that the higher level of inquiries could actually be a negative indicator, as it means clients are playing the competitive field against itself for greater savings, driving down prices for architectural work as a result. Going further, with billings remaining well below their break-even index of 50, the article claims that for the time being, this means that payments are continuing to decline, now for 16 consecutive months. "And, with much of the stimulus spending already underway-- it was credited for the jump earlier this year-- there appears to be little economic activity to further buoy the industry out of the current decline," the article states. To find out how to use short-term and long-term market trends in the design and construction industries to secure new projects, check out PSMJ's upcoming webinar: A/E/C Industry Trends: How are the trends impacting your firm? on July 14 at 1:30 p.m. Eastern Daylight Time. Even though the decline is design services billings has stabilized, the American Institute of Architects' Architecture Billings Index also indicates that any economic recovery has also flat-lined. The AIA reported this morning that the May ABI rating was 42.9, nearly identical to the 42.8 mark in April. This score indicates a continued overall decline in demand for design services as any score above 50 indicates an increase in billings. However, one bright spot for the architecture industry is the new projects inquiry score of 55.2, the third straight month with a score in the mid-50s. "The design and construction marketplace is extremely competitive right now," said AIA Chief Economist Kermit Baker. "Prospective clients are casting a wider net, causing numerous firms to bid for the same project, which is why the high level of inquiries is not necessarily translating into additional billings for project work at many firms." The May ABI breaks down by sector as follows: multi-family residential (45.5, up from 43.2 in April, 39.4 in March, 33.3 in February, and 29.5 in January); mixed practice (44.5, up from 44.2 in April and 44.0 in March); commercial/industrial (43.1, up from 41.7 in April, 35.0 in March, and 32.0 in February); and institutional (38.0, down from 43.2 in April). Regionally, the ABI breaks down thusly: Northeast (48.3, up from 47.1 in April, 41.8 in March, 32.3 in February, and 29.8 in January), Midwest (41.5, up from 40.1 in April, 37.5 in March, and 35.0 in February), South (41.3, down from 45.0 in April), and West (39.4, up from 39.2 in April and 36.1 in March). The first couple of COE firm execs I queried went directly to “there will be more design-build projects”. The opinion of these top execs is that a design firm has two choices: 1) develop a strategy to lead D-B projects that includes things like changing firm culture to accept the risks and educating clients on the merits of D-B projects in order to make the client comfortable with their designer as lead; 2) accept the role of sub to CMs who lead D-B projects, but offer value-added services (e.g., program management, master planning, facilities management, etc.). These top firm execs agree on one thing: to do nothing means succumbing to commoditization and being compelled to lower fees –even in market sectors which are hot (e.g., government work) or have pent-up demand (e.g., health care) and in which design firms should be able to charge reasonable, but healthy fees. The tactics for overcoming this challenge are fairly straightforward – and frankly, are not materially different from what PSMJ has been advising clients to do since the beginning. It comes down to the usual things: relationship-building with clients, CMs and other players in the building process, training staff in the technology that makes it possible to lead in the D-B process (BIM), marshalling financial resources, and choosing the right people (or acquiring the right firms) to affect this type of strategic move. More on this in the August issue of the Professional Services Management Journal and in the book "2010 and Beyond: Preparing Design Firms for the Upturn" coming this fall. With almost 300 participants thus far, while the numbers may change a bit, it's unlikely the trends will reverse. The data is much better, but still not really positive. In general, negatives are less negative, and small upward trends are now much more positive. Overall revenues quarter over quarter are still negative but less so. Revenue projections for the coming quarter have turned slightly positive. Backlog levels are still turning down, but not as much so. Proposal activity overall is much better, and is at a level that will sustain backlogs and revenues as proposals turn into projects. The markets that were virtually flat last quarter, health care, government buildings and education have improved to a decent positive level (stimulus again). Of the negative markets, only heavy industry showed relatively strong improvement, even though it is still negative. Commercial users did rebound a bit, but is still very negative. All in all, much better than last quarter, but still not sunny days are here again territory. For more information on PSMJ's Quarterly Economic Forecast data, check out the July 14 webinar A/E/C Industry Trends: How are the trends impacting your firm? Newton, MA (June 9, 2009)—Median operating profits for architecture, engineering, and construction firms fell to 11.8 percent, a 22 percent decline from the previous year, according to the 2009 PSMJ A/E Financial Performance Survey. Published by PSMJ Resources, Inc., the premier management consulting firm for the A/E/C (architecture/engineering/construction) industries, the 2009 PSMJ A/E Financial Performance Survey features more than 100 performance benchmarks, with approximately 30 different benchmarking groups shown. 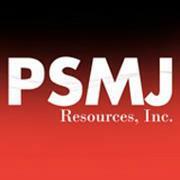 Respondents to the 2008 PSMJ A/E Financial Performance Survey reported median operating profits of 15.19 percent. Firms who work primarily in architecture and those who work in engineering (survey) each reported median profits of just 9.5 percent. But, in the lower quartile, those numbers drop to a 1.3 percent loss for architecture and a 3.4 percent loss for engineering (survey). Fanning attributes those numbers to the tough times in the commercial and land development markets. Engineering (prime) firms reported median operating profits of 11.6 percent and Fanning believes that industry has weathered the storm. “Engineers kept trucking along. They’re in good shape, certainly better shape than architects primarily due to less exposure to commercial markets,” he says. When it comes to staffing, most firms cut staff as their profits declined. In fact, in the entire survey, the median staff size change was a decline of 1.21 percent. Those firms engaged in architecture cut an average of 3.1 percent of their staff while those engaged in engineering (prime) cut 3.7 percent of their staff. On the lower end of the survey, firms cut 10 percent to even 20 percent of their staff. Yet, those firms on the upper end added anywhere from 6 percent to 13 percent. “Obviously, if you aren’t making money, you are probably cutting staff,” Fanning says. Now in its 29th edition, the 2009 PSMJ A/E Financial Performance Survey includes data from 217 firms in the United States and Canada. The Survey provides detailed data and analysis on operating profits, overhead rates, utilization, financial ratios, marketing costs, and much more.